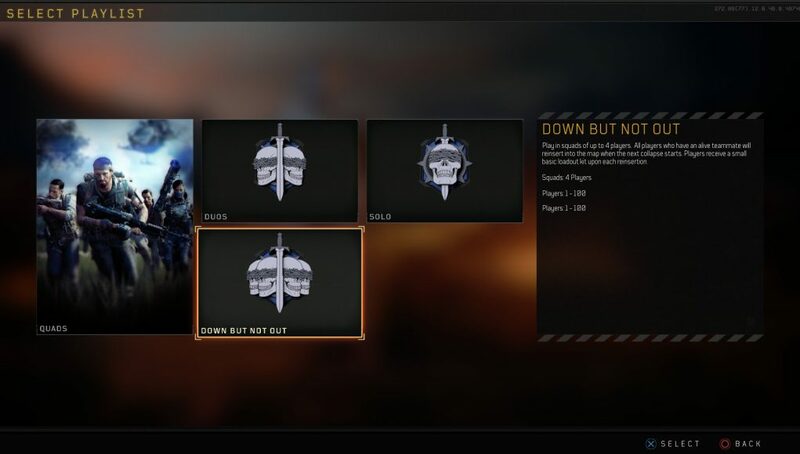 Treyarch has released the latest Game Settings Update for Call of Duty: Black Ops 4 across PlayStation 4, Xbox One, and PC today. 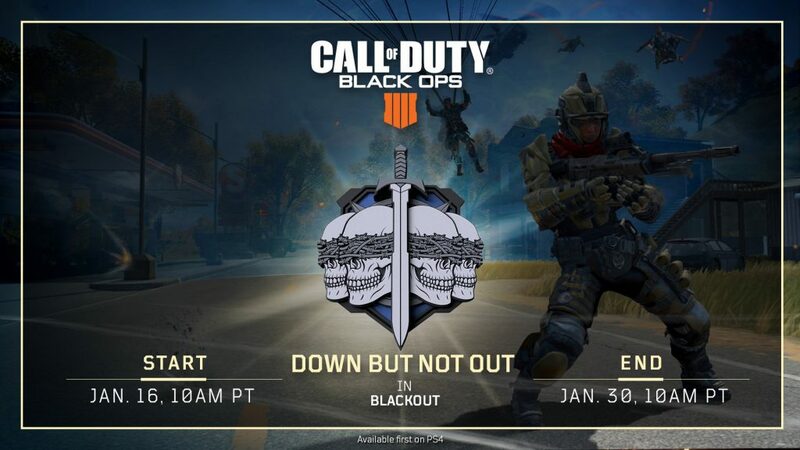 The new Game Settings Update brings a brand new limited time mode for Blackout called ‘Down But Not Out’ on PlayStation 4 only and will be available on January 23 on Xbox One and PC. This is Squads-based LTM that allows players who are downed to be reinserted into the Blackout match if they have 1 of their 4 teammates alive following the collapse of the next circle in the match. In addition, Vahn mentioned last night that this Game Settings Update would also bring a fix for the new issue that occurs where the GunShip does not work properly. Full patch notes for the settings update are not live yet. Stay tuned.